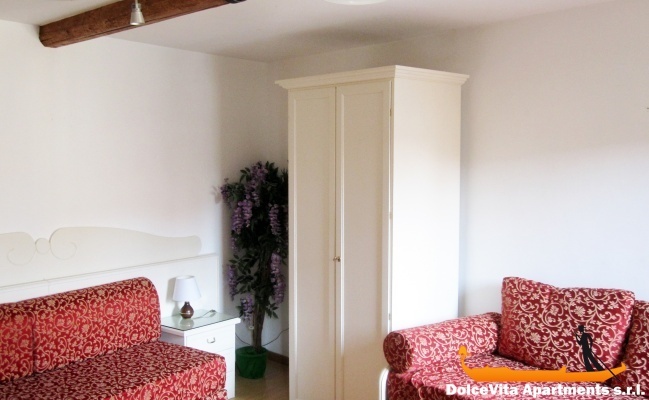 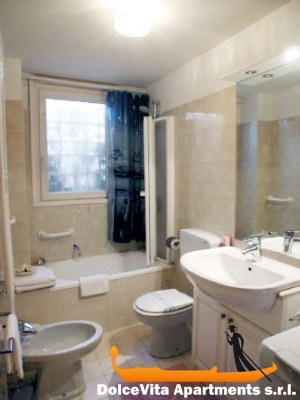 Apartment N. 17: It can accommodate up to 2 people, it is rented from 70 € per Night (not per person). 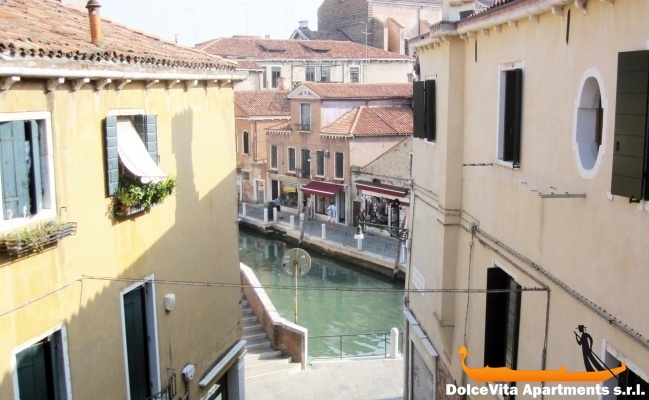 This cute apartment in Venice has been completely renovated in 2010; it is on the third floor of a historic building overlooking the "Rio Magazen" in which the “gondole” are pass at all hours of the day. 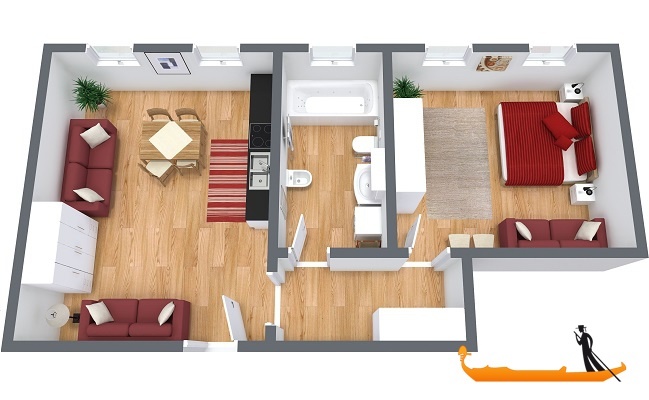 It consists of living room and kitchen, a spacious room with double bed and a bathroom. 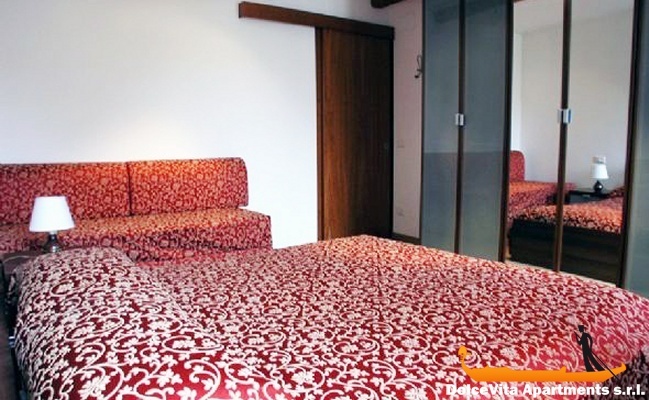 It has all the amenities including air conditioning, sat TV, free wi-fi. 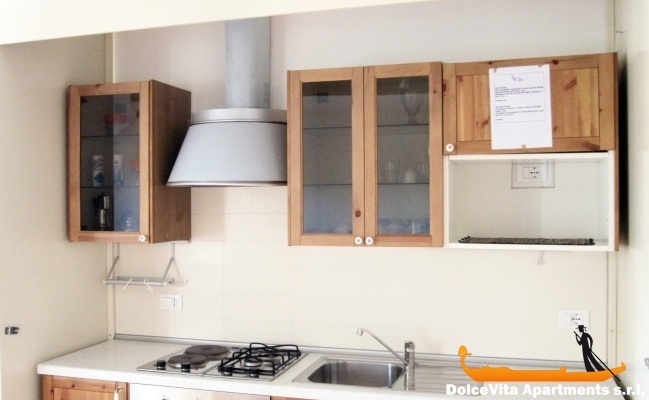 This apartment is so ideally located that you can easily reach attractions such as St.Mark square and the Rialto bridge; the church of the Frari and the San Rocco School, as the train station and Roma square, a 5 minutes walk.